We have luxury sailing tours leaving Harbor Island everyday on our NEW 45 foot sailing yacht, at the time that fits into your schedule. All cruises are private and tailored to your every need. 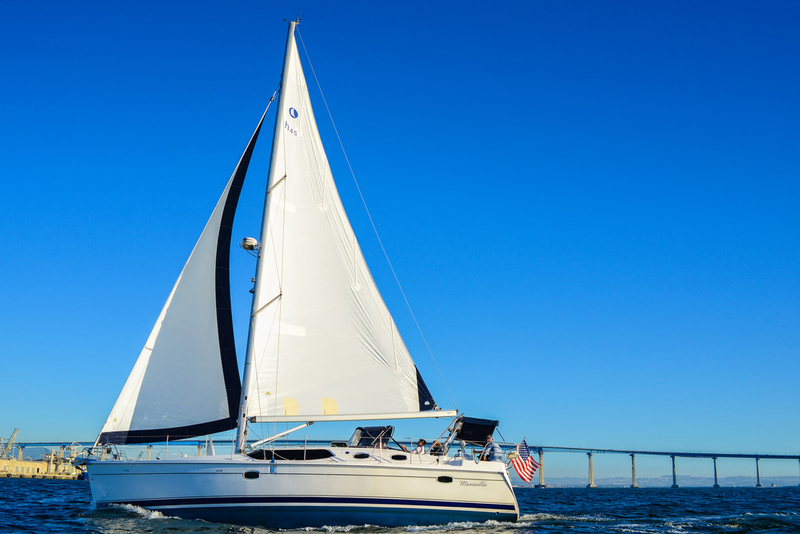 Our sailing tours will guide you around the beautiful San Diego city front or take you offshore to explore the calm coastal waters of Southern California. 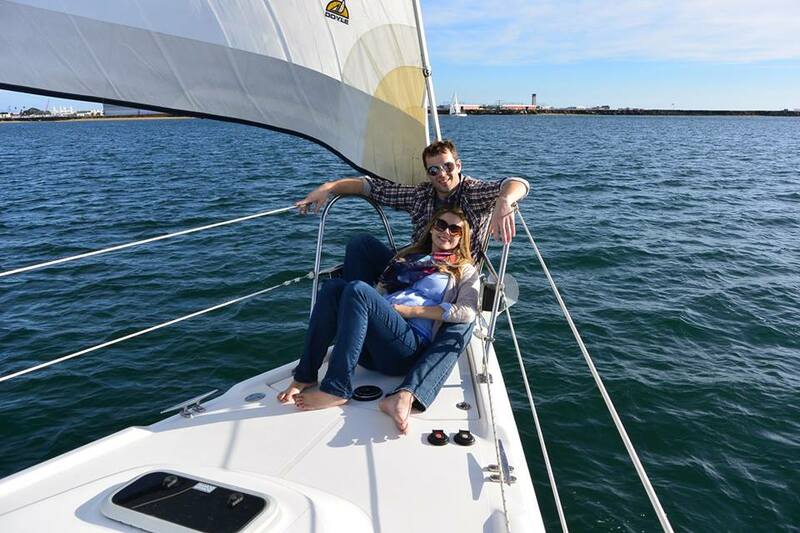 "Luxury Sailing in San Diego"
We spent a wonderful afternoon with Brock on his gorgeous yacht. The yacht so beautiful and pristine, and Brock pays attention to every detail, from what foods you might want on board, to where you would like to sail, to details about the scenery and area. You will not be disappointed. We couldn’t have had a better morning sailing with Captain Brock! The yacht is beautiful, comfortable, spacious and spotless. He taught us about the area and guided us through the ins and outs of sailing. We can’t wait to return for another trip with Brock. He is extremely knowledgeable, enthusiastic, and accommodating, which made for an unforgettable experience. 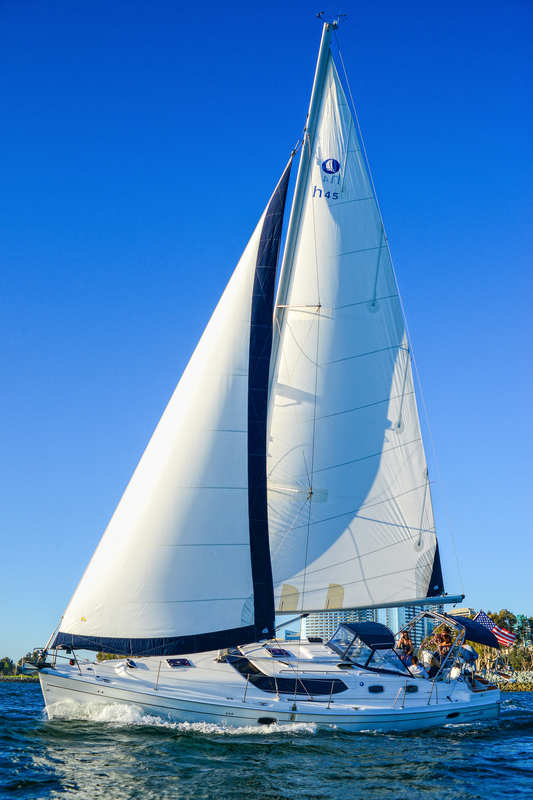 I would recommend San Diego Luxury Sailing to anyone and everyone! My friends who were visiting from the Bay Area and I chartered this BEAUTIFUL sail boat with Captain Brock and had such an amazing time! Captain Brock is not only very professional but he was so much fun on our charter. He certainly made our experience memorable as well as enjoyable, not to mention how absolutely gorgeous the sail boat is and very spacious. And we got to see some grey whales, which was SO cool!! 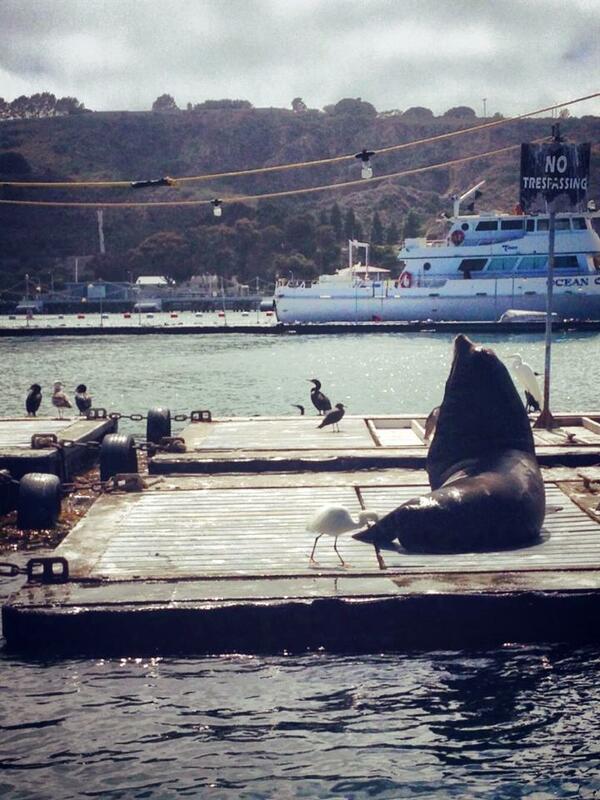 The sail we took on the San Diego harbor was a trip highlight! Gorgeous weather, stunning scenery, and a beautiful boat gave promise of a special experience, but it didn't end there. Captain Brock was a great host, very accommodating to what we wanted to see, and his knowledge & experience ensured we could sit back, relax and enjoy the views & company with fine friends. Our timing was perfect ~ we were treated to a tall ship battle re-enactment on the bay as well as great photo ops of the waterfront. I Can highly recommend. It was great value for an experience of a life time. As an Irish island girl, going sailing is nothing new for me. However, a sail on the pacific Pacific was something I'd never done. A far cry from the Atlantic and Irish Sea I know. I'd have been content with a harbor cruise or whale watcher, but we've a friend with a taste for fine things and he found for us San Diego Luxury Sailing. So the four of us had, yes, a luxury private experience for mere dollars more than a group sail! As a older, limited mobility person I had a bit of trepidation about how it would all go for me. I always worry about being a bother. Captain Brock could not have been more welcoming and helpful. So worry not if you aren't as fit and capable as the next person. He made it possible, and easy. Beyond that, for someone so young he was extremely competent and exuded full confidence, making his passengers fully at ease. He's also a gifted conversationalist on many topics, and his running commentary on what we were seeing was far from recitation. As conditions were extremely good, and we had time left, he didn't simply take us back but ran us out for another go. Awesome. On board we were a local, a visitor from New Zealand, our New Jersey SDLS finder and me, of Ireland/Chicago. So the praises of this experience will be heard globally. This...is money well spent. The peace and beauty afforded I doubt can be matched within San Diego harbor. GO please!